An automobile collision is a common yet serious issue that can have a variety of negative impacts. When you are involved in an accident, you must quickly deal with the damage done to your automobile. 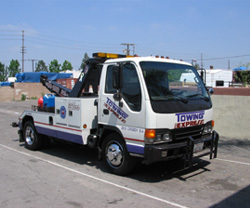 If you are looking for auto body repair services in the Santa Ana area, then you are in luck. Precision Collision Auto Body Centers have been providing customers in Santa Ana, California with high quality repair services since 1984. A collision can cause minor, cosmetic problems that can be fixed through paint repair. Some collisions, however, cause serious damage that requires full body repair services. No matter what kind of damage is done to your treasured vehicle, it takes true auto repair experts to fix any sort of problem. Many people try do-it-yourself techniques to fix cosmetic and technical repairs, but only auto body repair professionals can provide long lasting, high quality repair solutions. The expert team at Precision Collision provides paint services, fiberglass repair services, frame straightening and body repair. The staff at Precision Collision knows how much you rely on your car everyday, and they realize how important it is to have your car in good shape. This is why they provide services that make your damaged car look as great as it did before a collision. The experts at Precision Collision use a variety of professional tools to fix any kind of car collision issues. This trained team uses in-house collision repair tools in order to provide customers with high quality customer service. When you entrust your damaged car to the professionals at Precision Collision, you will be met with a fixed up car that looks like it has never been touched. If you want to go the extra mile to make your car look stunning, invest in the professional paint services provided by Precision Collision. Whether you want a touch up of the factory colored paint or a fresh new look, you will get incredible results that are fresh, eye catching and long lasting. Give us a call today at 714.997.5050 to schedule an appointment and as estimate.